When you think of USB flash memory sticks, undoubtedly you'll think of the plain twister pen drive, that's good for storing a reasonable chunk of data. And - by and large - you'd be right. The vast majority of drives out there exist for one thing only, and that's to safely store files that can be used on any computer, anywhere. However, you'd not be surprised to learn that USB drives are available in many shapes and sizes. Our own product range is filled with some fantastic ideas, which mean your branded promotional campaign gets an extra kick with one of many eye-opening designs. Of course, if you want them, you can get our ever popular twister, chunky or capsule lines, all at varying capacities and very competitive prices. But if your marketing department likes to think out of the box, the possibilities are limitless. The reason we say this is because of this fascinating little number: the D.I.Y. USB. It may not look like much, but our D.I.Y. drive means that USB memory can be built into just about anything with space enough to take it. In a capacity up to a massive 64GB, all it needs is a little imagination, and it can be put into a designer case of your choice. A remarkable development. Naturally, you might like your unusual USB drives ready made, and we can do that as well. We've got plenty of ideas that will benefit virtually any product campaign. A real eye-opener is the Globe USB. It's a straightforward USB stick, but comes with a rounded base that sits squarely on any desk and always finds its way back upright again. Both fun and useful. 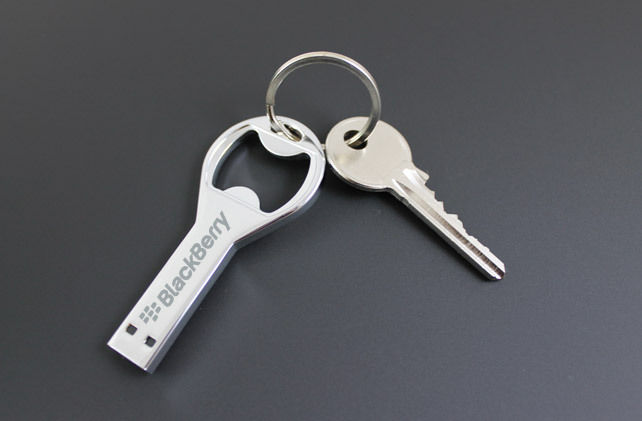 It's a USB drive (up to 32GB), it's a key ring, but most of all, it's a fully functional bottle opener. Chin chin!